To read the report on PDF, please click here. In the mid-nineteenth Century, at least four thousand early Bahá’í followers, who are known as Bábís, were killed by those who considered the Bahá’í faith a deviation from Islam. In May 1955, at the incitement of the clergy, religious and state elements destroyed and occupied, the National Bahá’í Centre (Hazirat ol Qods), one of the Bahá’í holy places in Tehran, and conducted daily anti- Bahá’í propaganda through Iranian national radio cultivating a culture of violence against the Bahá’ís. Furthermore, a section of the house of the Báb (one of the holiest sites of the Bahá’ís worldwide) was destroyed; Bahá’ís in villages around Shiraz were attacked; eight hundred Bahá’í followers were forced to change their faith in writing, and sign and submit their oath to local Islamic officials. During this time, Bahá’í public and private property were attacked and destroyed, especially in Rasht, Abadeh, Isfahan, Hesar, Urmia, Shiraz, Karaj, and Mahfrouzak. Many offices, residential premises and religious centre were looted and set on fire. However, these are just a few examples of the persecution Bahá’ís faced during the 1950’s and 1960’s. After the 1979 Islamic Revolution in Iran, Shiite clerics who had tried to suppress the Bahá’ís, even through the secular Pahlavi state, came into power. Therefore, the situation of the Bahá’ís became significantly worse. From this point, the harassment and persecution of Bahá’ís were perpetrated on a larger and more systematic scale backed by the full support of the Islamic state. “Cockroft: Will there be either religious or political freedom for the Bahá’ís under an Islamic government? Cockroft: How about their freedom of religion – religious practice? Clerics who are in power in Iran’s Shiite religious state, believe that the Bahá’í faith is not a religion or belief system, but a “cult” or a “political doctrine,” and use this argument to justify the denial of the fundamental rights of the Bahá’ís. On the other hand, it has been officially claimed that the rights of Bahá’ís would be restored as soon as they convert to Islam. This in and of itself shows that the Bahá’ís are targeted solely because of their religious beliefs, not because of their political activities. The repression of and violations of fundamental rights of the Bahá’ís have been more severe during certain periods of the Islamic Republic era. As an example, during the years immediately following the 1979 revolution the execution of Bahá’ís accused of ‘crimes’, such as “Corruption on earth”, “Cooperation with foreign governments”, and “Spying for Israel” was prevalent. According to a report published by the Bahá’í International Community entitled “The Bahá’í Question: Cultural Cleansing in Iran,” between 1979 and 1992, at least 187 members of the Bahá’ís community were murdered or executed. Furthermore, the persecution of the Bahá’ís has continued throughout the past three decades, and worsened since the presidency of Mahmoud Ahmadinejad, especially after his second term in office beginning in 2009. In recent years, a large number of Bahá’ís, including seven leading members of the Bahá’í community, known as Yaran, have been imprisoned and sentenced to long terms in prison. Bahá’í prisoners have been victims of extrajudicial arrests, unlawful proceedings, torture and denial of fair trials. In addition, the rights of Bahá’ís to access higher education, to work, or engage in productive employment, remain restricted on a large scale. Certain state-owned or partly state-owned media have supported all these steps against the Bahá’í community. They have not only legitimized the human rights violations committed by the Islamic Republic authorities, but have further promoted anti-Bahá’í polemics at the grassroots level around Iran. When Bahá’ís are prosecuted by the state, they are usually charged with “Spreading propaganda against the system”, “Espionage”, or “Acting against national security”. Judicial proceedings are plagued by inadequate documentation, unfair proceedings and lack of due process of law. Testimonies of Bahá’í prisoners and their relatives demonstrate that they are victims of persecution, torture and unfair treatment by security and judicial institutions, simply because of their religious beliefs. Undeniable evidence also points to illegal and extra-judicial measures taken by intelligence forces during the arrest, investigation, interrogation and proceedings of Bahá’í cases. Homes searches without warrants, detention in security centres, interrogation by intelligence officers under the supervision of security forces rather than judicial institutions, and lack of access to legal representation during hearings are part of a significant and widespread violation of the human rights of Bahá’ís by the judicial system in Iran. The Islamic Republic of Iran’s policies seriously violate the civil and legal rights of Bahá’ís mandated by the International Covenant on Civil and Political Rights (ICCPR), to which Iran is a signatory, as well as article 23 of Iran’s constitution law on prohibiting the inquisition. On 25 February 1991, Seyyed Mohammad Reza Hashemi Golpayegani, secretary of the Supreme Council of the Cultural Revolution, released a confidential letter summarizing the findings and recommendations of the Council’s negotiations with the government on its policy toward “Bahá’ís” to inform the Supreme Leader of the Islamic Republic of Iran, Ali Khamenei. “- Preferably, [Bahá’í pupils] should be enrolled in schools that have a strong and imposing religious ideology. This letter essentially sets the standards of the continued and systematic policy to prevent Bahá’ís from their fundamental right to education and specifically higher education in Iran. In 2006, the Ministry of Science, Research and Technology issued a confidential letter to all universities and higher educational centres, under the subject of “banning Bahá’ís from university education” specifically based on the above mentioned decision of Supreme Council of the Cultural Revolution. After graduating from high school, many young Bahá’ís eager to attend university participate in the university entrance exam, but due to the policy of preventing Bahá’ís from having access to higher education, they are unable to go further and many are unable to attend altogether. In Iran, a university entrance exam is not the sole criterion for student selection. All applicants must pass the “selection process”, which is held by the Sanjesh Organisation. 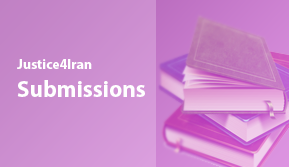 The applicants may be deprived from higher education on political, ideological and religious grounds, and this is exactly what is happening to young Bahá’ís who attempt to continue their higher education. The Ministry of Science designates the files of many Bahá’í students as “incomplete”. Evidence points to the fact that IRI authorities deprive Bahá’ís of their right to education– as enshrined in Iran’s constitution as well as the ICCPR (to which the Islamic Republic is a party)– solely on the basis of their belief and faith. But this was not the end. Even when the Bahá’í community in Iran tried to establish an institution of higher education to respond to the academic needs of young Bahá’ís, the state banned their initiative. In September 1998, 36 members of the institution’s academic staff were arrested and about 500 homes were searched. However, the institute continued its work with over 900 students, 150 academic staff and offered 32 university-level programs; classes were held on private premises. Once again, in May 2011, Iranian authorities raided homes of Bahá’ís associated with BIHE. A number of Bahá’í educators were arrested and are currently serving four or five year prison terms. Despite the above legal requirements, Bahá’ís have been deprived of their basic and fundamental right to engage in work and to pursue a freely chosen occupation. However, Islamic Republic officials have shut down their workshops and offices and revoked or suspended their licenses. It also introduces many restrictions on the rights of members of the Bahá’í community to engage in work and business freely and unconditionally. These measures indicate that the Bahá’í right to work freely and engage freely in economic activity has been extensively and systematically denied. The Bahá’í International Community published a special report in October 2011, called “Inciting Hatred, Iran’s Media Campaign to Demonize Bahá’ís”, based on monitoring the Iranian press and its broadcast media over a period of 16 months from December 17, 2009 to May 16, 2011. The report includes many official and/or semi-official news agencies and hard-liner online platforms supported by Intelligence and military agencies as well as supporters of Mahmoud Ahmadinejad. State-run media attack the Bahá’ís and publish false information about their history and teachings, accusing them of moral corruption, conducting espionage for foreign governments– such as Israel and the U.S.– without evidence. They further use insulting language against the Bahá’ís, calling them a ‘sect’ or a ‘sinister/evil cult’. This is not only contrary to the principles and mission of professional and unbiased media, but instead it promotes anti-Bahá’í attitudes and culture and incites religious fanaticism. This media campaign is run by state-owned or semi-state owned entities, backed by military/security agencies that try to create an atmosphere of fear and intimidation against Bahá’ís by seeking to destroy the Bahá’í faith and demonize and dehumanize its followers. The Islamic Republic of Iran is a signatory to the above Covenant. In consideration of the serious and systematic violation of the human rights of Bahá’ís in the judicial, educational, professional, and media sectors, Justice for Iran decided to research and identify state actors responsible for perpetrating these violations, with a focus on the time period following the 2009 election for presidency in Iran. The first goal of this report is to cite the testimony of Bahá’ís who are the victims of human rights violations. The information that has been shared with JFI has greatly contributed to the preparation of this report. JFI has also drawn on previous reports, research, as well as valid and authentic legal documents published by the IRI authorities. In this report, Justice for Iran identifies fifteen official and semi-official state authorities directly involved in the severe and extensive violations of human rights of the Bahá’í community. The profiles of these perpetrators are included below, as well as accounts of their unambiguous involvement in violating human rights of the Bahá’ís in the judicial, educational, professional, and media sectors in Iran. JFI believes that all of the aforementioned individuals are involved in serious and systematic violations of the rights of Bahá’ís, as codified both in domestic and international laws; and should be held accountable for their decisions and actions. The Judge of Semnan’s Revolution Court. B.A. in Judicial Studies from the School of Judicial Studies; Iran’s Judiciary System. Former jobs/positions: Public and Revolution Court’s prosecutor in Jahrom. He resigned to take part in the parliament election but did not succeed. He is the deputy prosecutor and the head of the Revolutionary Prosecution of Shiraz (the capital of Fars Province). He is directly responsible for the illegal arrests and ill treatment of civil and political activists; as well as journalists, bloggers, women’s rights defenders and Bahá’ís. He is also responsible for violating the rights of those who have converted from Islam to Christianity. These are the names of some prisoners of conscious in Shiraz who were harassed, tortured, and interrogated in the absence of access to legal representation and due process of law: Zeinab Bahraini (journalist), Masoud Sepehr (political activist), Payam Jahangir (political activist), Raha Sabet (Bahá’í), Haleh Rouhi (Bahá’í), Sassan Taghavi (Bahá’í), Gholamhossein Raeisi (human rights lawyer), and Mohammad Reza Abdollahi Nasab (journalist). The judicial orders in the notorious No. 100 detention centre are issued or signed by Seyed Reza Mousavi Tabar. In one case, he ordered to keep Raha Sabet, a female Bahá’í prisoner for three and a half years in solitary confinement in the No. 100 detention centre, a male prison. As the interrogator of branch 7 of Kerman Prosecution since 2010, Velayati has been in charge of security cases. He is one of the authorities responsible for illegal acts and violations of the rights of Bahá’ís in Kerman. He is responsible for ordering the arbitrary arrest of three members of a Bahá’í family– Bakhtiar Rasekhi, Farahnaz Naeimi and Farin Rasekhi– keeping them in custody for months and depriving them from family visitations and phone calls. 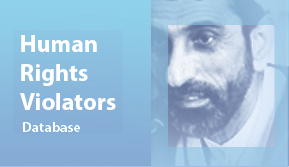 They were arrested in March 2012 for organising Bahá’í Youth Day, and under Velayati’s supervision, these Bahá’í prisoners have been held in inhuman conditions. – Faran Khan Yaghma: He was arrested without any legal authorisation or warrant, at the same time his computer and personal effects were confiscated by Intelligence agents. The agents also beat his father. – Enayatollah Sanaei: Intelligence agents entered the house of this Bahá’í poet and writer after breaking down his door. The agents insulted those present in the house and beat them while inspecting the house. – Vajihollah Mirza Golpour: This 71-year-old Bahá’í citizen has been summoned to the Ministry of Intelligence without cause and only for being Bahá’í. – Sarah Mahboubi: This student, who has already been banned from university, has been arrested and transferred to the Intelligence section of Sari Prison while her house was inspected by Intelligence agents twice and her books, notes, CDs and computer were confiscated. – Masoud Ataeian: Intelligence agents arrested him at his house in Ghaemshahr on November 18, 2008. They inspected his house and confiscated religious books, documents related to his work, and his personal computer. He has not been authorized to meet his lawyer yet and has only called his family once briefly. – Soheila Matlabi: She has been arrested and detained since November 23, 2008, when Intelligence agents entered her home and inspected it without presenting any warrant. She was not authorized to communicate with her family for more than 22 days. 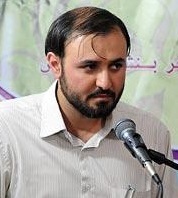 Mohammad Ali Najafi is the head of the “Tehran Observatory of Public Areas,” a division of the “Iranian Police for Public Security and Intelligence.” In an official decree on April 8, 2007, he not only prohibited the approval of work certificate for Bahá’í in several fields, but also asked to identify Bahá’í workers in their sectors of service. 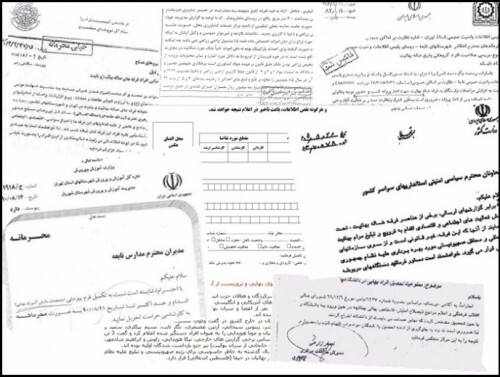 The decree is titled “Approval Procedure of the Members and Groups of Misguided Sect of Bahá’ísm” and is addressed to all “City Chiefs of the Intelligence and Public Security” in Tehran. These decrees have had a major adverse impact on the right of Bahá’ís to work. Born on 1960/1961 (?) in Khoramshahr. When he was the director of the political office of the Ministry of Interior, Syed Mohammad Reza Mavalizadeh was involved in the violation of the civil and human rights of members of the Bahá’í community just because of their religious beliefs. These types of surveillance orders have played a significant role in preventing and restricting the access of Bahá’í community members to their right to work and right to free choice of employment. When he was the Managing Director of Fars News Agency and the Deputy Commander of Cultural Affairs for the IRGC, Hamid Reza Moghaddam-Far was responsible for deliberately provoking hatred and incitement to hatred against the Bahá’í faith through the content in Fars News. The Fars News Agency is close to the powerful IRGC and is said to receive financial support from them. The impartiality and independence of this news agency is in serious doubt. It is believed that propaganda in the media could lead to increased discrimination against the Bahá’í community and promote a social context of violence and hatred against them solely based on their religious beliefs. Raja News is close to hardliners in Iran and a strong supporter of Mahmoud Ahmadinejad. The impartiality and independence of this news agency is in serious doubt.In its October 2011 report, the Bahá’í International Community clearly shows that a central element of the escalating campaign of persecution of Bahá’ís in recent years has been the use of mass media and other means to systematically demonize and vilify them.Bahá’ís have been completely denied access to any form of media inside Iran that would allow them to explain or rebut the baseless accusations against them. Indeed, Iranian media is forbidden from publishing or airing anything in support of Bahá’ís.It is believed that propaganda in the media could lead to increased discrimination against the Bahá’í community, promoting a social context of violence and hatred against them solely based on their religious beliefs.